The former Edgewood Elementary School is now being used by several tenants. 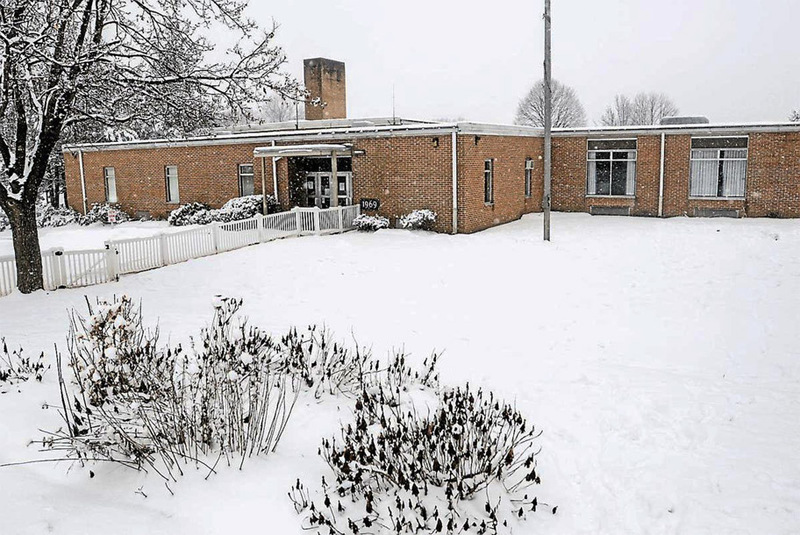 Dogged by constant complaints about behavior problems at Pottstown Middle School, the school board and administration are moving to a solution that calls for re-opening the former Edgewood Elementary School, last used as a Pottstown School building in 2014. During Thursday night's school board meeting, Superintendent Stephen Rodriguez said last week the board discussed issues with the administration building on Beech Street, problems at the middle school and moved closer to responding to them with a plan to re-open Edgewood. That discussion happened during the board's Jan. 10 workshop meeting. Rodriguez said the board concluded there are really only two viable options available and both involve using Edgewood in some way to take students out of middle school. Without outlining the other option, Rodriguez said the board and administration have concluded the most economic way to make use of the building to address problems in the middle school is to turn Edgewood into a fifth grade center. However, no change would be made before 2020/2021 school year, said board member Thomas Hylton. Board member Bonita Barnhill said efforts should be made to ensure the public meetings are held on weekends and during the day as well as the usual weeknight to ensure that everyone will be able to make time to attend and offer input. Rodriguez was charged with setting up dates for public input meetings, and said he believe they should all be held at the Edgewood building. The decision to close Edgewood, the district's newest building, and renovate the remaining four elementary schools was made in 2012 after many years of proposals, counter proposals and indecision. Currently, the building is rented out to two tenants — Head Start and Cottage 7, a private special education school to which public schools send students in need of emotional support services. There has been a growing consensus among the administration and teaching staff that moving the district's entire fifth grade into Pottstown Middle School, where behavior problems continue to frustrate teachers and administrators alike, was a mistake and must be undone. In other business, the school board also re-financed an $8.4 million bond, but made no mention of how much taxpayers will save as a result of the vote.